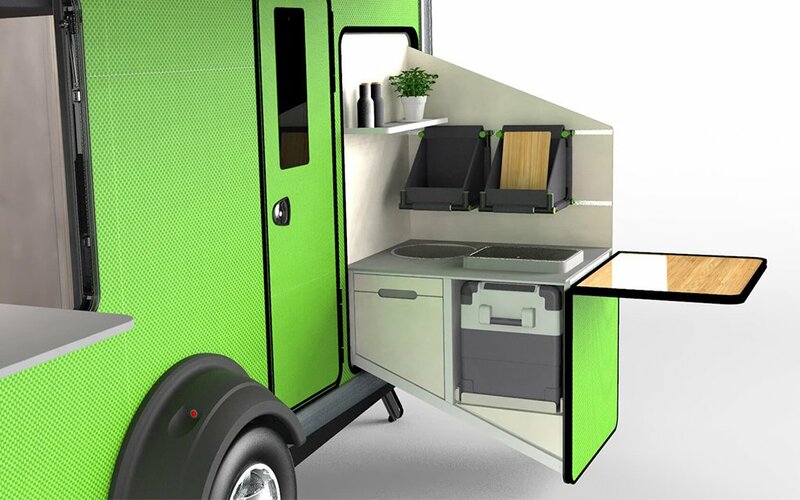 Ever Seen a Camper With a Pop-Out Indoor/Outdoor Kitchen? 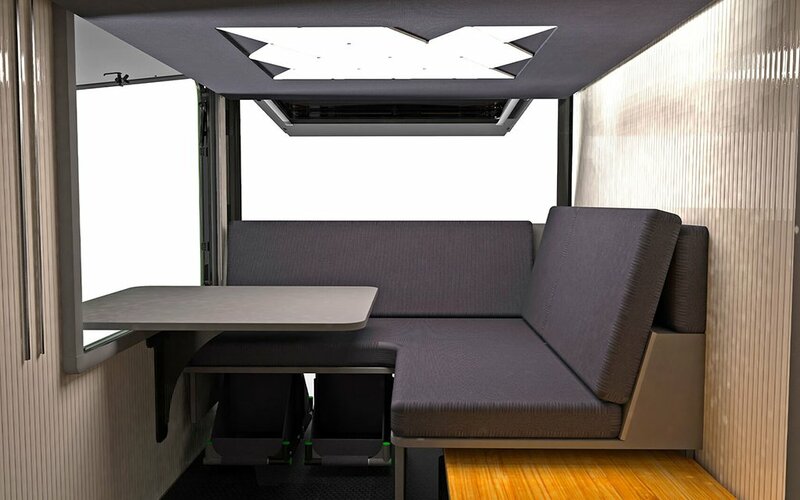 North Carolina-based RV makers SylvanSport have already proven they know how to make a lightweight camper. Their svelte, 840-pound GO can be easily towed behind a Prius and starts at just $10,000. So for their second act, they’ve earned the right to think a little bigger. Enter: Vast, a 21.5-foot-long, 2,500-pound camper with massive windows, a full-lift tailgate and an innovative indoor/outdoor kitchen. 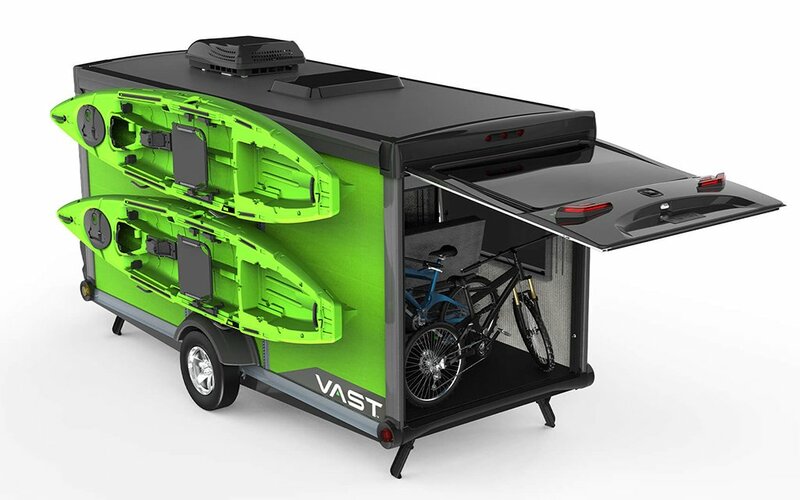 Vast debuted earlier this month at RVX, a new (and necessary) trade show meant to keep up with the dizzying updates flowing from the camper industry. We’ve certainly been busy keeping up in the last few years, but are yet to see a concept quite like this. 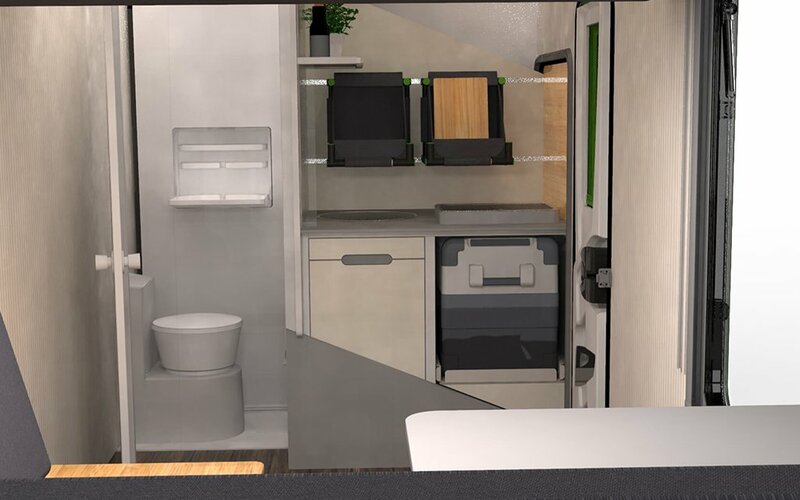 Vast’s kitchen — made of a two-burner gas stove, fridge, freezer and integrated sink — sits near the shower when inside, but stealthily slides out to form an “L” station once the trailer expands. It’s protected underneath a retractable canopy, and also includes a pop-out bar table perfect for prepping food or hosting diners. 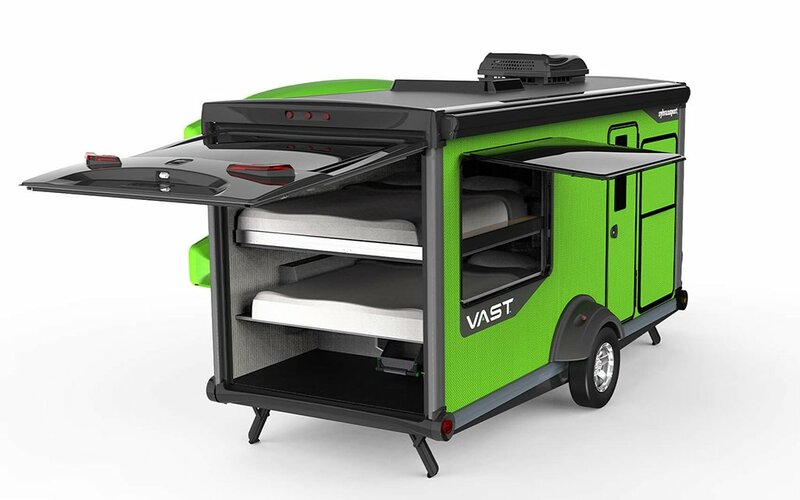 This all gives Vast the appearance of an RV mixed with a food truck, and allows campers to eat and cook outside, while airing out their living space. And if the weather isn’t cooperating, you can always just use the kitchen inside: it’ll function just the same, albeit in a more cramped area. Elsewhere, SylvanSports relishes in using all the space they didn’t have with the Go: the Vast features two queen beds, a side-mounted rack system for kayaks and bikes, and a storage pod near the front hitch. The entire thing is clad in a powder-coated steel chassis. For more information on pre-ordering Vast, head here. But expect to fork over some cash — Vast will sell for just south of $50K.